The Regional Secretary for Environment and Natural Resources participated this morning at the XII Eco-Escolas Regional Meeting, held in Porto Moniz. To those present, Susana Prada recalled one of Fernando Pessoa’s poems, her favorites, to praise the “giant” performance of the students participating in the initiative and in the defense of the environment: “I am the size of what I see / And not, the size of my height”. Emphasizing that urgent measures are needed to combat climate change and the depletion of natural resources and the pollution of the oceans, Susana Prada understands that these are “the greatest challenges of the generations we are educating”. 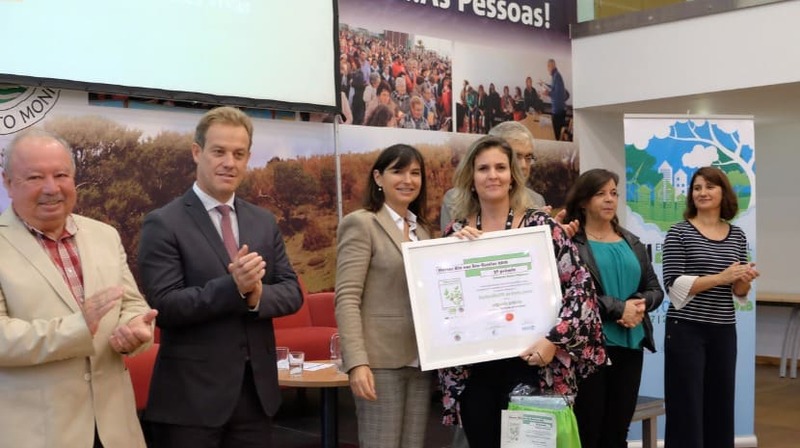 Susana Prada also recalled that in the “Green Key” program, the international award that promotes Sustainable Tourism in Portugal, the Region assumes the leadership in the number of awards awarded among the various regions of the country. 57% of Green Key hotels in Portugal are from Madeira. “The Zero Pollution Strategy in the sea of ​​the RAM is another measure of the Regional Government, in the fight against the pollution of the coastal waters. The strong commitment to environmental education and awareness has contributed to the region’s excellent quality of bathing water from 2015 to 2018 from 53 to 70%, “he added.